A bride and groom take a walk after their wedding at Mythe Barn in Leicestershire. 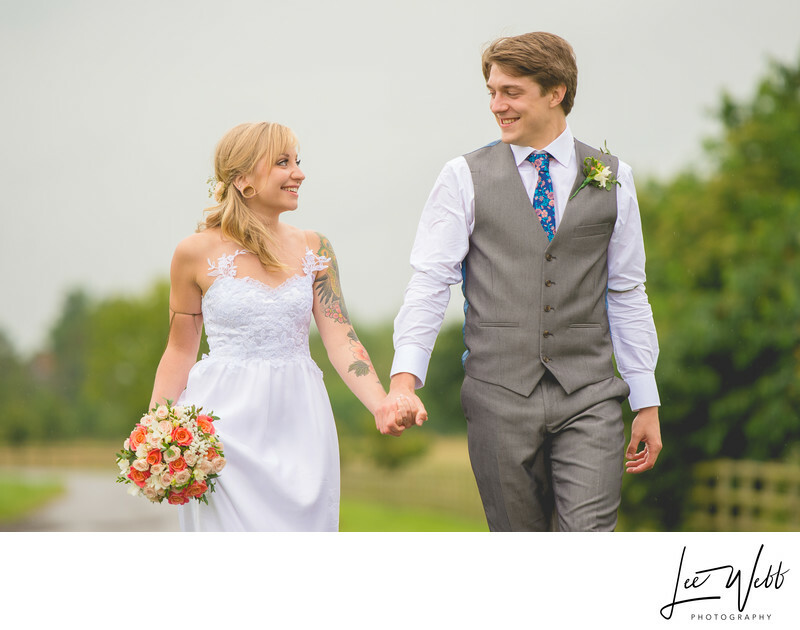 Brittany and Nick got married at Mythe Barn in Leicestershire. They hosted their wedding reception at the same location. The day had been quite mixed in terms of weather, with torrential rain throughout most of the morning and then a dry spell during the wedding, which luckily lasted long enough for us to take some wonderful group photos outside, including a whole wedding-party photo on the lawn at the front of the barn. When I had arrived at Mythe Barn before the wedding, I had noticed a large wheat field about half a mile from the barn, on the drive in. 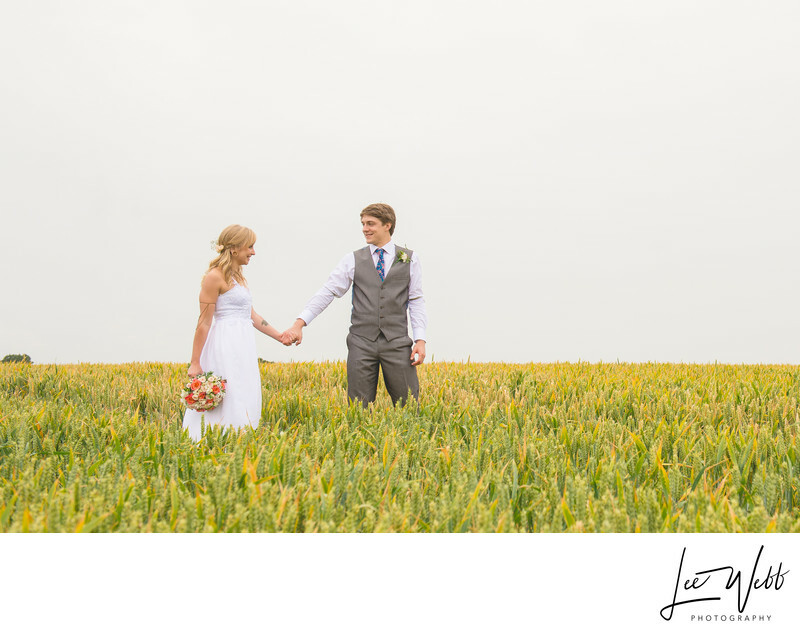 During a brief break in the rain, the bride, groom, two best men and myself took a walk down to this wheat field for some photos. The best men were on hand with umbrellas should we be caught in a downpour - I'm expendable, but I'd hate to get the bride and groom wet through to the skin on their wedding day! The photos in the wheat field were amazing, even if it was quite muddy underfoot - Nick actually carried his new wife into the field for these pictures. Having finished the couples photos, we all walked back together towards Mythe Barn. Nick and Brittany were chatting away quite naturally, walking hand in hand, and that's when I captured the main article image that you see above.